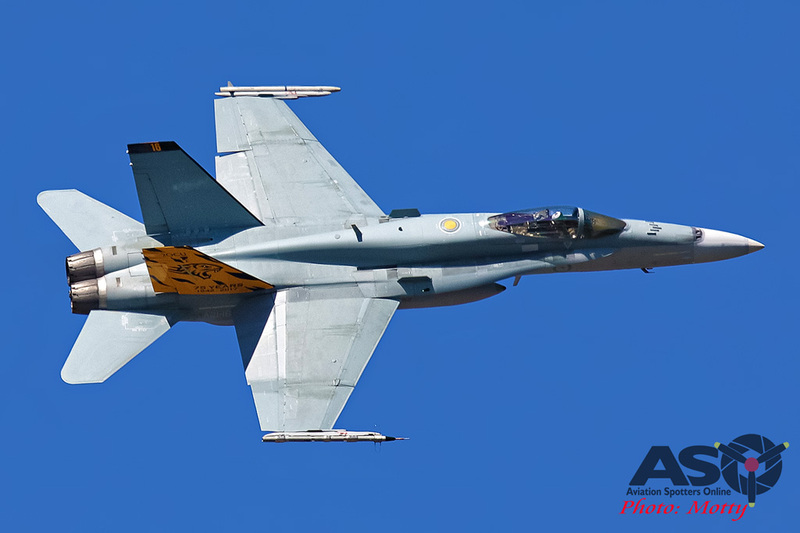 ASO recently had the chance to meet new F/A-18 Hornet solo display pilot FLTLT Matt “Traylz” Trayling and ask him a few questions. ASO- When did you first find the love of aviation ? Traylz- It was when I was at primary school. I was a soccer player and at one of my field games on a Saturday, a jet flew over. It was a Hornet, and one of my team mates said ” that’s my Dad”. That’s when I knew I wanted to start flying. I had fallen in love with it. “Traylz” ready to go in New Zealand. ASO- And where was this? Traylz- In a town outside of Adelaide. ASO- If you remember a jet that early in life, do you remember the first time you flew in a aircraft? Traylz- Yes from then-on my fire was lit. I ended up getting my pilot’s license before I had a car license. I went gliding at Goolaw where I got my solo license and took it up from there. ASO- So from there your passion is aviation and you started at an early age, was the Air Force the career you were after ? Traylz- Yes, definitively. So I knew I wanted to fly fast jets and yes at the time the Air Force was the only stop for me. “Traylz” launching into his practice in A21-102. ASO- From high school, how did you make the transition into the military? Traylz- I sought advice early through defence recruitment and said “how do I steer my schooling so I have my best chance of being selected as a Pilot? “They gave me a list of prerequisites; “this is what you have to meet, these are the hoops you need to jump through and if you cover off on those then you will be in the pool to be selected as a pilot”. ASO- Once you had this information did you ever feel you weren’t sure you could make the level you dreamed of ? Traylz- Of course, that was always in the back of my mind the whole way through but I think that just drove me harder, and the fact that the RAAF told me there and then; “The intake is very small and very limited, so the chance of you making it through is quite slim” just fueled my desire to want to do it more and drove me to do the best I could at school and the processes leading up to all the tests fort getting into defense. “Traylz” rolling over A21-102 and getting into the display. ASO- So you have made it into defence but there is still a battle ahead to reach that dream, can you describe how, even though you have your wings, there is still a lot more to achieve ? Traylz- Just getting your wings in itself is a process, going through the flight screening, which is 2 weeks of dedicated flying, to see who would make the pilot training scheme standard. If you meet that standard you then go onto PC-9s at 2FTS and, if you meet that standard, you are awarded your wings. From there you are a pilot who is sent out to one of the Squadrons in defence.After that, if you are selected for fast jets, you are onto the Hawk for 6 months of training with 79 squadron at RAAF base Pearce, Western Australia, and then another 6 months with 76 squadron at RAAF base Williamtown New South Wales. 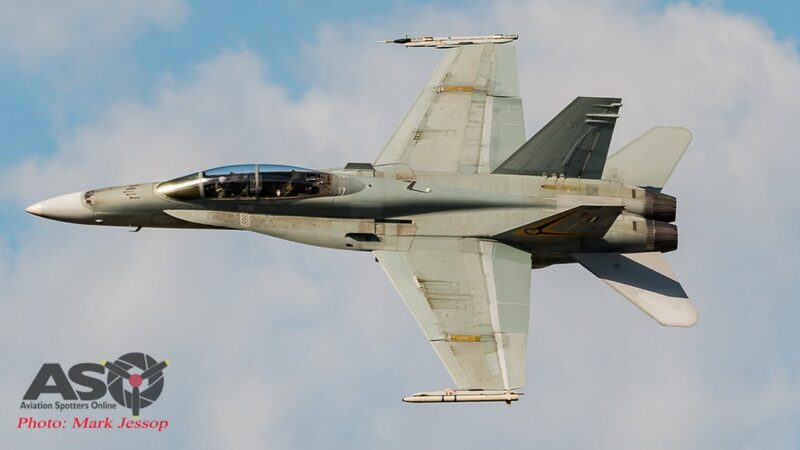 Then you finally get the chance to fly the F/A-18 Hornet with 2OCU at Williamtown which, at the time, was the hardest thing I had every done in my life. ASO- Do you remember the day that you were told that you had the chance to fly jets? Traylz- I do remember, it was a pretty special grad night. I had my family there as well so they were all invited into the base for a nice big sit-down dinner and they presented you in a comical sort of way I suppose as they reveal your posting. I was with my best mate that I joined defence with as well, he went through the same process with me and we both got selected at the same time, so it was an amazing night for us. ASO- So you’ve made it through. You’ve gone through the Hawk (which I’m sure has some nice performance as well), can you describe the first flight in a Hornet? It was your dream, you have thought about this moment and now it’s there in front you. Traylz- What was funny was that my first ride in the Hornet was in the front seat. I wasn’t the backseat passenger for the first time I strapped into Hornet, I was flying the jet. I obviously had an instructor behind me, but just rolling down the runway, the first thing in my mind was “I’m not keeping up with this aircraft”. Like, “I’m so far behind it that I’m still back in the classroom”. I needed to spend another six hours reading the book and the checklist for this because I was already airborne and over-speeding everything. ASO- But you can still remember that moment with a smile because it’s just it’s here! It’s real! I’m airborne in a Hornet! From there you are still under pressure because you’ve only just started to fly a Hornet and at any time you may not make the grade. How did you find that type of pressure that you put on yourself? Traylz- It was so immense going through 2OCU. I’m so lucky I had such an understanding wife and family at the time as I literally had to shut myself in my office after I got home from work and she just accepted that she wasn’t going to see me for the next three to four hours of that evening while i was busy prepping for each flight the next day. There’s always that the daunting feeling that you might not make the grade the next day, or might fall short in that flight, which means re-flying certain areas, and having that pressure is just something that is on you the whole time throughout course. Family support and the support of your course-mates goes a long way with helping to deal with that pressure, as well as just doing what you enjoyed doing before you joined the Air Force. I used mountain biking and surfing to help keep myself real. ASO- So you have passed the conversion course at 2OCU and are now going to an operational unit. What was the first squadron you were posted too? 2OCU Traylz solo practice display. A21-102. Traylz- I went straight into 3 squadron in 2014. They were away in Guam at the time so I essentially rocked up to the squadron with minimal personnel there, which was good for me because I did a Basic Fighter Maneuvers (BFM) program for the next nine weeks, so I just got to enjoy BFM fighting in the Hornet for a couple of months with a very well-known XO there who just showed me some really cool flying, which I really appreciated. ASO- It’s Exercise Cope North which is held at Guam isn’t it? So you went to Guam with 3 Sqn the following year. You would have had some international participants there, to go up against and have some fun with? Traylz- Yes, definitely. It was the first time I got to see dis-similar fighting techniques, so I trained fighting against the USAF who brought their F-15’s over and I got to ride in an F-16 while I was there as well, so it just opened up the world of aviation for me. ASO- So it’s like all of a sudden you’ve gone from that childhood dream of the Hornet being the focus to seeing and flying against international aircraft and getting an opportunity to fly with that aircraft, which you wouldn’t have dreamed of as a kid, would you? Traylz- You can’t picture that and when you are really there and you’re in amongst it, and it’s just like, we’re just a small part of this whole churning beast of military aviation, and to be a part of it, and in the Hornet, is just amazing. ASO- So that’s a big thing which you are saying that, as a front line fighter pilot, there is one person in the front but it takes 120 people minimum to make that flight happen. How do you find the teamwork, even from a pilot’s level, all the way through the squadrons, of what actually makes your job happen ? Traylz- It won’t work without the teamwork, so you have hit the nail on the head there. If you don’t have people that are all in sync with you and don’t all have the same focus or the same goal, it’s just not going to work. And it’s something I’ve seen at every squadron I have been to; they’ll all focus, they all have one one goal in mind and that is to get people safely in the jets, execute the mission safely, do it professionally and make it look good for everyone else as well. ASO- Which Squadrons have you served with? Traylz- I have been with 3sqn,77sqn and now I’m back at 2OCU. ASO- So you have come full circle and you have put the years of experience into the younger guys, how was that move for you ? Trazly-So I’m going to start instructing on the next course, which is going to be mid year 2017, so I feel like I’ve still just left the school really. Like I’ve just left being taught how to fly the Hornet myself and now I’m going to have to start teaching guys to fly it as well, which is obviously a massive responsibility, but I’m looking forward to that immensely. I really want to be an instructor. ASO- So late last year you got some exciting news, can you explain a bit more about that? Traylz- Yes. So my CO at 77sqn told me that, after leaving 77sqn, there was potential for me to be going onto the a AWIC (Air Warfare Instructor’s Course), although only as a spare. 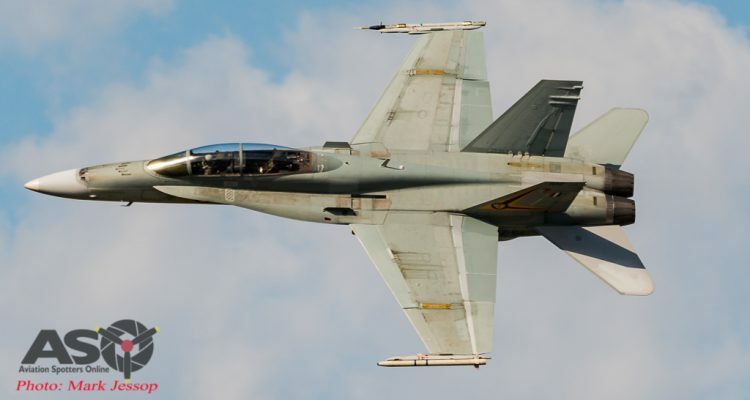 The better news though was that the CO said I was also going to be the 81Wing display pilot, which means flying the handling displays of the RAAF F/A-18A Hornet, which just blew my mind as I have never flown any aerobatic shows before my life. Obviously I have a keen interest in it and being selected to do it is awesome! ASO- Do you remember the first military air show where you actually saw a Hornet on a display, and can you go back to that moment and relive it ? Traylz- So it wasn’t a full display as such but it was when the F1’s we’re in Adelaide and they had F1 racing through the city there. I didn’t get to watch the whole display but I could definitely see its vertical departures and its rolls up through the sky, and just seeing the absolute performance that the jet has, that was my first taste at what military aircraft can really do. From there I’ve been to Edinbrugh and Avalon air shows. ASO- So now you are stepping up to the role of display pilot; how have you got from being told, to where you’re at right now with your first public display in New Zealand at the 75th Anniversary of the Royal New Zealand Air Force? Traylz- It’s very much mental prep, so I’m paired up against an ex display pilot (who is a very good one at that) and he’s been my one on one mentor, so I’ve got one instructor for one student essentially, and he has put his absolute time and effort into me and I obviously have to give that back as well, so there is a whole bunch of new numbers that I need to learn. I need to know how to relearn the performance of the aircraft down to like the inch level. I need to know exact figures, exact numbers, exact turn rates, speeds, G’s, everything. You name it. I’ve pretty much re-learnt the Hornet performance envelope in less than a one month period. Now while I’ve been doing that there’s also been a rigorous simworkup as well. I’m simulating that I am overhead the different air fields where I’m going to be performing displays right down to this week where I’ve been doing displays overhead the air field to put myself in front of that pressure of performing in front of a crowd and my peers. That’s really the ultimate test. Traylz showing the New Zealand locals just how good the Hornet is. ASO- Is there any part, even though you’ve only just started the actual physical part of flying, where you feel, “WOW, I love this part of the display” because you haven’t done it before and also you’re realizing that you are actually doing this? Traylz- There’s a couple of spots. So the high alpha re-position after the inverted pass, that’s a highlight for me. So I just burn up into the sky, sixty degrees nose-up, and then I’m just asking for everything that the jet will give at that point and just really putting the jet through its paces in terms of Alpha nose-up position as I come around over the top, that’s the first one. The second one being the loaded roll. So it looks like bit like you nose is bouncing around like a beach ball on the beach. It’s an incredible feeling inside the jet. It just it feels like your tail is just sliding out as you go on through, kind of like a burn-out in the Hornet. And then finally, the Cuban reversal at the end. So, after I clean up from the dirty pass, up for a Cuban reversal, again asking max alpha from the jet throughout that maneuver just feels amazing. ASO- You are now a display pilot down at very low level, compared to being a fighter pilot at a high and mid level, and what you’ve previously considered low level, to now come down to a level where the public can see so easily. How much more intense is that for what you’ve got to take in plus what you’ve got to learn so quickly? Traylz- It is another level, but i think that everything we do in the Hornet in the aerobatic display at low level is stuff we can already do right at high level when we’re fighting the jet. So it’s bringing those maneuvers which are already well ingrained in my muscle memory and in my thought process. I can already perform those without really thinking too much about it per-se but then bringing it down to ground level, obviously we have to do it safely and we’ve got to worry about crowd lines, so that is really taking the focus of my flying. So yes, I can do the hands and feet of the maneuvers, but it’s incorporating that into a crowd-line and the ground which takes more thought. Traylz getting some nice ecto in New Zealand. ASO-You’re first public display is in New Zealand for the RNZAF’s 75th anniversary and it’s also 2OCU’s 75th anniversary, that’s a pretty special moment to go there and represent the country and your fellow airmen and people in the military at this event. Is there anything that you’re looking forward to yourself over there? just show that our ties are still so strong with them and be part of that piece of history is awesome. I love New Zealand and enjoy getting to Queenstown a lot, along with the adventure sports there and I just can’t wait to be part of that history again, in some sort of adrenaline sport if you like, in flying the Hornet over there doing an aerobatic display so i can add my piece. ASO- Is there anything that you’d like to help a kid with if they weren’t sure ; Like, “I’m not sure if i can actually make it”? Is there anything you would say if you had that chance ? Traylz- I’ve had that experience too, when I went through school I told them my dream “yep I want to be a fighter pilot” and my teacher shut me down there and then and said “that’s not going to happen”. That was her words to me. I went back and you can imagine how disheartened I was, as a i think I was probably 11 or 12 at that stage. It’s like, okay, that’s been told to me by 40 plus year-old teachers; “you’re never going to do that”. So I think, to me, that was the biggest drive to make me want to go and do it. So if anyone tells you you can’t do it, or it’s going to be really tough; yeah it can be tough but that doesn’t mean you’re not going to do it. Look at all the people before me that have come and achieved fighter pilot status and then all the people after me as well. It’s just going to keep going. If you want it that badly you will put your heart and mind into it and get it. ASO- That’s great!. Thanks very much for your time and we hope you have a lot of fun as the RAAF’s Classic Hornet display pilot. We look forward to seeing (and photographing) your shows. Our sincere thanks to Traylz, 2OCU and the RAAF for this opportunity. Awesome photography of spectacular aircraft. Thanks Mark for taking the time and effort to share with all and sundry, especially we who don’t get many, any airshows. I made it to the Evan’s Head show this year and at long last had a joy flight in the very pretty L39 Albatross. Wonderfull experience especially as my son works for the makers, Aero Vodochody in Prague, and I kept my lunch down despite the 4G manoeuvres. The snap roll finally did me in, but I held on ‘ok. I get terribly seasick, so was lucky on the day. Thanks Ian and yes, I agree if you don’t live close to an Airshow you just don’t see the action or get up close to any of the Military people. Evan’s Head Airshow is a cracker show and it’s great to the number of smaller shows popping up around the country. As for the L-39, I do like this jet! I think it just doesn’t get as much attention just due to how quite they are. Ah the snap roll , most people think oh that looks not to hard but only once you go for a ride do you understand just how full on it is. – Mark.